​"Proudly Giving the Neighbors Something to ​Talk About"
Our goal is longevity and protection from whatever may come in the future, whether it be chemically resistant insects, weeds and diseases, market volatility, or regulation. Massive soil disturbance is damaging to soil life and structure. 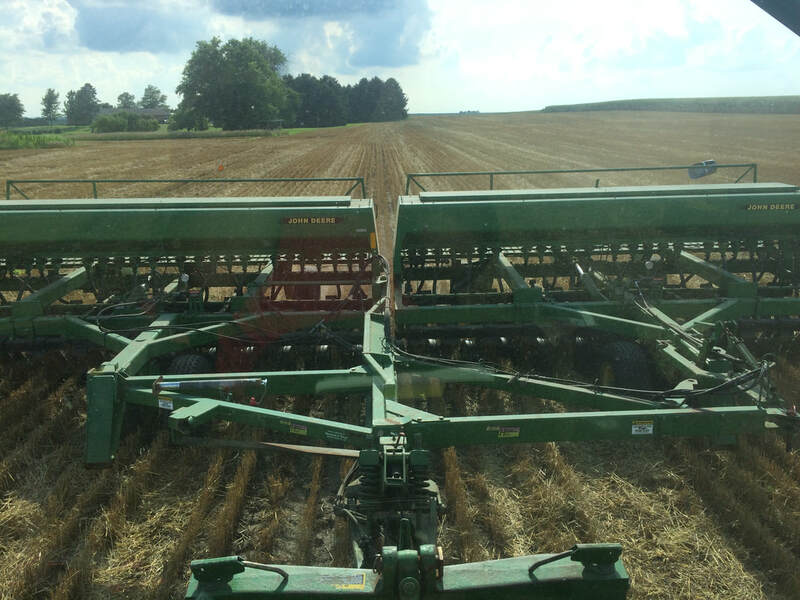 We do not use tillage, instead plant directly into undisturbed soil. Most natural soils always have plant life in them 365 days/year. We mimic that by use of wheat and cover crops. Plants support soil life and trap carbon. Monocultures are unnatural. While our cash crops are grown in monoculture (so far...), cover crops & wheat allow us to introduce different life cycles and plant families to our soil.